This is a product review for the FlexiDOCK from ICY DOCK. 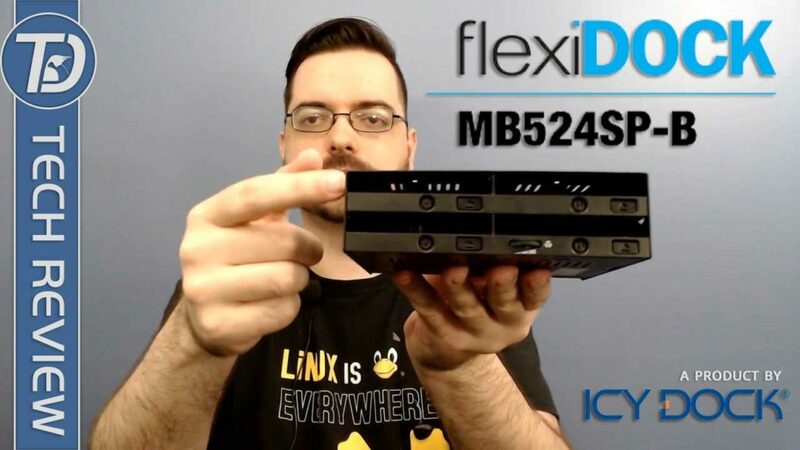 The flexiDOCK MB524SP-B is a device that makes Multi-Booting very easy without having to deal with Bootloaders or Partitioning and so on. In this video, I discuss the Pros and Cons of this product as well as provide a demonstration of the multi-booting features of the flexiDOCK. This product is also beneficial outside of multi-booting with Disk Cloning, Data Backup, & Data Transfer usage. This video was NOT sponsored by ICY DOCK or anyone else. The opinion in this video is my own and is not influenced by anyone. This produce was sent to TuxDigital free of charge for the purpose of reviewing. I am under no obligation to provide a favourable review or endorse this product. I have full editorial control and there is no monetary compensation involved. Additionally, the “Where to Buy” links are affiliate links to Amazon which will benefit the TuxDigital channel financially if you were to purchase the product via those links.